Resolution is hardcoded at 720p. 5 songs from the soundtrack, a mini-artbook, some wallpapers & avatars. Save games are fully cross-platform. The file prof.sav contains over-all game progress. The file continue.sav is only generated when pressing 'Save & Quit' or 'Main menu'. Try Lossless Scaling on 1440p and 2160p monitors. 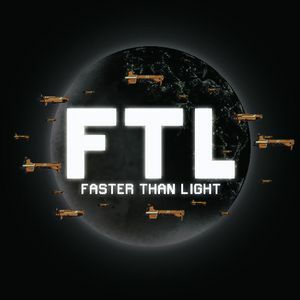 The developers of FTL have a page with common fixes for the game, navigate to their support page to learn more. This setting doesn't have a considerable impact on the visual quality of the game. Go to manage 3D settings. Add ftlgame.exe from the game folder if not allready present. disable vsync and set pre-rendered frames to "1". On Nvidia Optimus notebooks also make sure the correct GPU is selected for FTL. Problem associated with older laptop graphics cards. Right click on FTLGame.exe and select Properties. Check 'Run this program as an administrator'. Click OK and run FTLGame.exe. 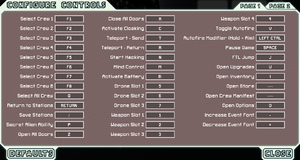 Right-click on the game executable and select 'Run as Administrator' to test this fix. Visit AMD.com or Nvidia.com depending on what graphics card manufacturer your computer uses. Check 'Disable display scaling on higher DPI settings'. Problem associated with higher DPI settings. Some integrated Intel HD graphics cards have been known to work but are not officially supported. This page was last edited on 25 March 2019, at 01:16.